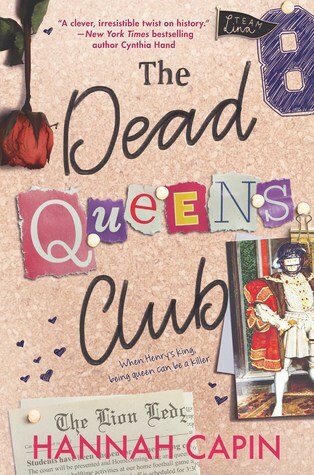 I just wish The Dead Queens Club lived up to the self-indulgent version of it that I wrote in my head before it began to disappoint me. My first complaint about this book is how the plot takes so long before it catches flight. My eyes glazed over while waiting for the story’s momentum to build, and I’ll confess to wondering in the early going whether it might have been better to bail halfway through. When the plot finally comes, all its climaxes peak at once, in an explosion of tension and revelation. The ending is satisfying but quite frankly, soon the satisfaction fades away in a haze of indifference. I think whether or not you will enjoy The Dead Queens Club will depend in large part on whether or not you enjoy spending time in Cleve’s head. The Dead Queens Club propels us through the story by the sheer force of its narrator’s personality. It started off fiercely, spikily hilarious. It was just fun—ridiculous, marvelous fun—but it wasn’t long before I felt an annoyance within me where for a while my sustaining enjoyment had been. There is only a terrible disillusionment now. The humor quickly turned leaden, impossible to appreciate without expending enormous amounts of emotional labor. The author crafted a story that was in love with its own zaniness. She doesn’t so much lean into the comedy of the novel as she does invite it out to dinner, offer it drinks, and studiously record every bit of banter that ensues. It was all just too-over-the-top. My reading experience was also colored by a wincing revulsion for the way the novel blithely kills off teenage girls to echo history—brushing aside their deaths as if it had not been a matter of any urgency that required addressing. The reason I’m giving this book an extra star is because I really liked how it gives voice to Henry’s girlfriends as multifaceted and evolving characters, beholden to no one’s perspective but their own. At first, I was quite disgruntled by the stark dissonance between Cleves’s words and actions. Mainly, how she claims to be a good feminist and diminishes every other female character in the same breath—always siding with Henry and emptying her mind of all thoughts but what he put into it. Thankfully, Cleves gets it right at the end. The truths that she has avoided looking directly in the eyes wrought an undue transformation, replacing her dreamy naivety with a hunting determination. And whatever connection there was between her and Henry, Cleves was setting it aside in favor of her allegiance to these women who did not relish the idea of their lives following a similar pattern to Henry’s ex-girlfriends and whom Henry had seriously underestimated. A lot of people seem to have enjoyed this book, so don’t let this review discourage you from giving it a chance. It was sadly just not my cup of tea. Hi hello, I’m Chaima and I’m a queer Muslim reviewer! I love reading because well, for a couple of hours, all those problems aren’t mine to deal with. HA!